In 2013 I surveyed disability service professionals at 578 degree-granting, four-year public institutions of higher education. The survey was designed to determine the current readiness of higher education to support the academic, social and communication, and independent living needs of college students diagnosed with Asperger’s Disorder. 230 colleges participated in the survey. You can read part one of this blog series here. The survey was designed around the Benchmarks of Effective Supports for College Students with Asperger’s Disorder (Ellison, Clark, Cunningham, & Hansen, 2012), a checklist of efforts determined by experts as integral to effective college supports for this student population. The 2012 study demonstrated college students with Asperger’s Disorder required specialized supports, and that disability services available traditionally on campus to this population were generally ineffective. 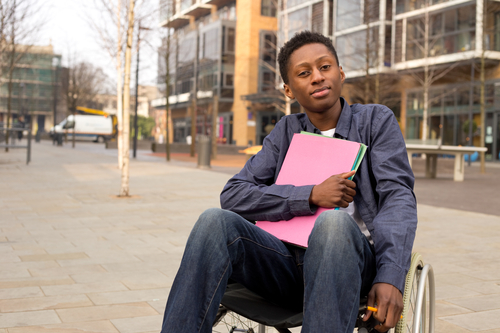 The 2013 nation-wide survey explored, in part, whether or not colleges had specialized supports for this student population outside of traditional disability services. This article is the second in a three-part series that reports the outcomes of that research. Assisting students with social networking. Representatives from 29 institutions (15% of those which responded to the survey) reported no on-campus systems dedicated to assisting students with Asperger’s disorder with social networking. A majority of those surveyed (117 colleges) described this support as being available only within the structure of traditional disability services. Only 22 institutions reported fully dedicated, identified staff exist on campus to assist in the development of on-campus social networks. Facilitating social learning and skill development. More than one-quarter (26%) of those which responded to this item reported no system on campus dedicated to facilitating social learning. More than one-half (106 colleges) reported a system existed only within the traditional structure of disability services. Less than 10% of the colleges who responded (17 participants) reported a fully dedicated system in place to support the development of social learning and communication skills for this student population. Nearly 17% of those responding (33 colleges) reported no on-campus system of service was available to teach self-advocacy skills. More than one-half of the respondents (124 colleges) described this system as existing only within the structure of traditional disability services. Only16 institutions (8.2%) reported a fully dedicated on-campus system for mentoring students with Asperger’s Disorder on the issue of self-advocacy skills. Professionals to teach social networking skills. 60 institutions (32.1%) reported that no identified staff exist on-campus to teach social networking skills, and 91 participants (48.7%) reported staff are available only through traditional disability support programs. 15 colleges (8.0%) reported the existence of staff fully dedicated to teaching social networking skills to college students with Asperger’s Disorder. Professionals to teach social and communication skills. Nearly one-third (60 colleges) of those responding to this reported no identified staff existed to teach social and communication skills to college student with Asperger’s Disorder. Nearly one-half (49%) reported this support existed only within the structure of traditional disability services. 15 colleges reported fully dedicated, identified staff exist on campus to teach and mentor social and communication skills to this student population. Results demonstrate a significant minority of public colleges surveyed have developed the specialized supports outside of traditional disability services necessary to support the social and communication needs of college students with Asperger’s Disorder. This outcome suggests a pre-interview of institutions being considered by a high school student applying to colleges – using, perhaps, the Benchmarks of Effective Supports for College Students with Asperger’s Disorder as an interview tool – may be beneficial in selecting a college that fits the individual student’s need. 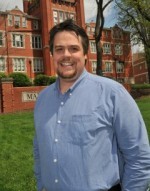 Marc Ellison, Ed.D. is a Licensed Professional Counselor (LPC) and an Approved Licensed Professional Supervisor (ALPS) who has worked nearly 30 years to provide person- centered support, services and advocacy to individuals who live with autism spectrum disorders, their families and those who support them. He has supported individuals with ASD throughout their lifespan, as they moved to the community from state-supported institutions, searched for and obtained employment, entered into relationships, and transitioned into college. Dr. Ellison is the Interim Executive Director of the West Virginia Autism Training Center, and a part-time professor at Marshall University. It would be most helpful to share the names of those 10-15 institutions with “fully dedicated, identified staff” who are prepared to support our children. Thank you for your comment Kim. Unfortunately, the research that Dr. Ellison did for the 3 part article was all taken anonymously by each university. This was a paper toward getting his Masters and while he gave us the information he researched, the names of the universities were not provided…even to him. I would love to have had that list as well and sorry it could not be provided. I did, however, find a list of preferred colleges for those on the spectrum or more specially, with Aspergers. Here is the link: http://www.collegeautismspectrum.com/collegeprograms.html Best of luck! I agree with Kim’s reply. Finding colleges that have sufficient support is difficult to find on the Internet. I have a son who’s a senior in HS, and the research has been challenging to find a college with the right support. If it’s possible to provide the list of those colleges surveyed along with those that provide support, it would be a tremendous benefit. Lastly, thank you for taking the time to research and publish this 3-part article. It has been helpful. Thank you for your comment Ken. I too have a son with Aspergers currently attending Texas A & M/San Antonio Branch. He is living at home and completed his first two years (the basics) at a community college and just began this Fall at A & M. Living at home has helped us do what you are looking for with college assistance. Basically we are introducing change one step at a time. Unfortunately, the research that Dr. Ellison did for the 3 part article was all taken anonymously by each university. This was a paper toward getting his Masters and while he gave us the information he researched, the names of the universities were not provided…even to him. I would love to have had that list as well and sorry it could not be provided. I did, however, find a list of preferred colleges for those on the spectrum or more specially, with Aspergers. Here is the link: http://www.collegeautismspectrum.com/collegeprograms.html Best of luck! Great site. Nephew has aspergers and is having a tough time at a summer community college but is doing great at his full time college. Amazing the difference from one school to another. A real shame.